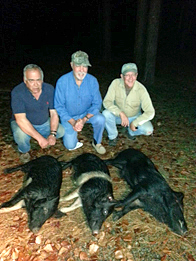 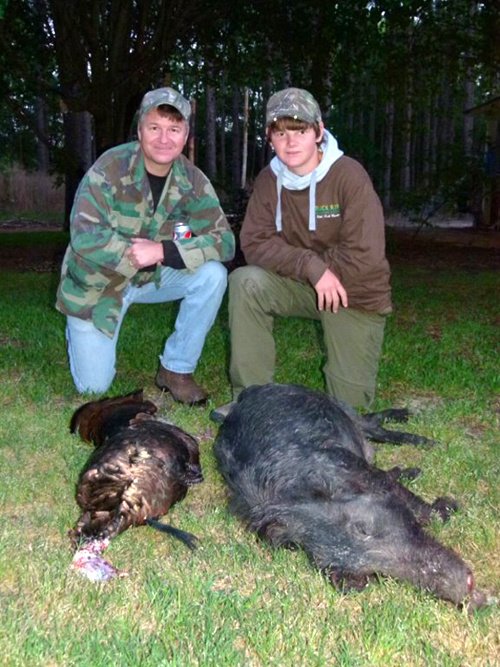 Enjoy lowcountry hog hunting in a totally natural environment! 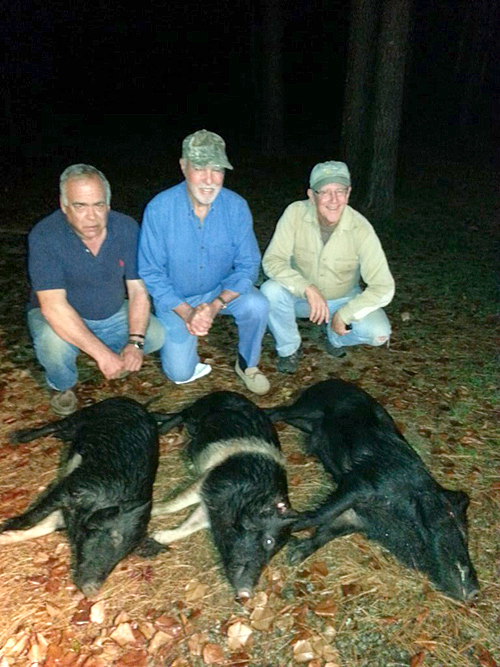 All hogs are naturally wild and roam the swamps freely! 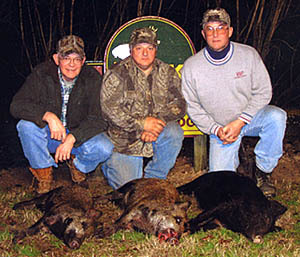 Hogs have never been released on any of Buck Run's properties and continue to increase in numbers annually. 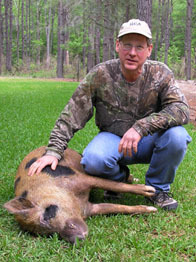 This is why we are able to offer to hunters unlimited hog harvest on every hunt. 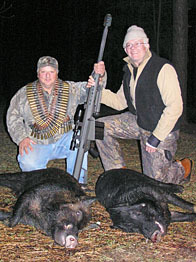 Like our deer hunting, all hog hunting at Buck Run is done from elevated stands. 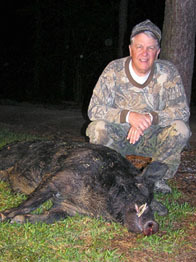 Occassionally, with the wind in our favor we will stalk through the bottoms in hope of spotting elusive boars while they are up feeding or trailing. 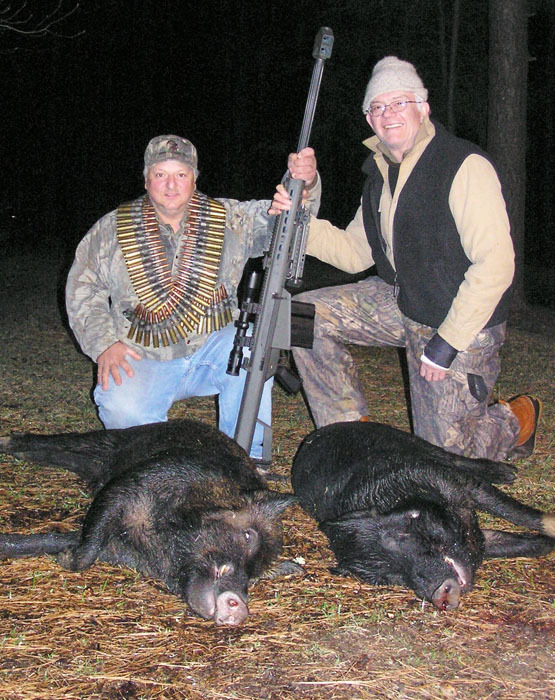 We offer hog hunting year round and enjoy what we consider to be the best months to harvest a trophy wild boar in the colder, wet months of late November thru April. 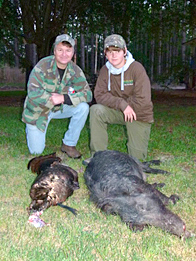 Combination hunts of wild boar and any other game animals, or turkeys, can be arranged within season also.